Art doesn’t exist in a vacuum. It needs context, it is social by nature, and the environment around it helps to give it meaning and purpose for its existence. We’ve managed to build a sizeable artist community made up of talented artists from all corners of the globe. Similar to the art that they create, our artists also need support and community. So we went about providing it in various ways. We started a namecard initiative, where we designed and printed namecards for our artists who opted for it. 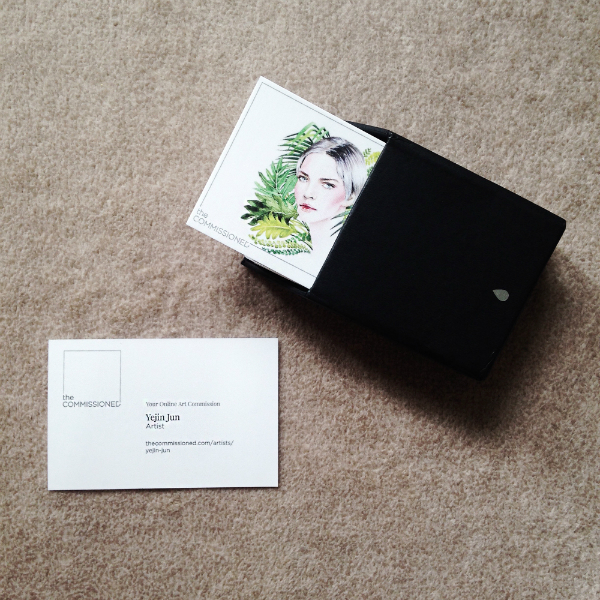 The namecards are customized with the artist’s chosen artwork at the back, and the contact details at the front. It’s a way to express our appreciation for our artists, and we hope it goes some way to help them present themselves to the world. Apart from this, we also made our artist profile pages shareable. Each artist page has a unique URL that is easily shareable on their social media channels. We also work to feature an artist every week on our blog, in our regular Meet The Artist column. These interviews are shared on all our social media channels - Facebook, Twitter and Instagram. These may seem like small initiatives, but seen as a whole, we hope that they help to foster a sense of belonging and community. We are always looking for new ways to help our artists gain exposure and widen their circle of influence. If you have ideas for us, do drop us a note at: hello@thecommissioned.com!